For the San Jose Sharks and several other franchises, the 2015 offseason was rife with goalie issues. The teams in need were well-defined. The candidates were also well-defined. Among the moves, Robin Lehner went from Ottawa to Buffalo. Cam Talbot, after brilliantly backing up Henrik Lundqvist in New York, went to Edmonton. Sharks starter Antti Niemi went to Dallas. San Jose traded for a goalie who didn’t appear on most radar screens. Martin Jones was traded to San Jose from Boston, just days after Boston acquired him from Los Angeles. Jones took the Sharks starting job and ran with it. During the 2015-16 season, Sharks backup Alex Stalock, underperformed for a second consecutive season. This pushed Sharks general manager Doug Wilson to make another move. Wilson traded for James Reimer from Toronto just prior to the trade deadline. The intent of that move was clear, Reimer was to serve as the backup to Jones. Based on what has been seen to date, Wilson nailed both trades. The two best goalies to switch teams in the past year are Jones and Reimer. The question, which my colleague Andrew Bensch alluded to shortly after the trade, is who should be number one? This begs a follow-up question: what are the implications of who is number one? The current clear starter is Jones. He has ably manned the nets for San Jose, carrying a workload that probably exceeds what a goalie in his first full NHL season as a starter should receive. 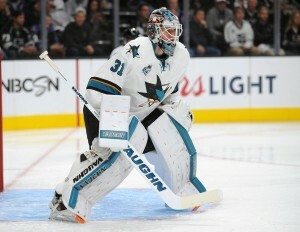 The excess workload was due to the team’s lack of confidence Stalock. Jones earned the spot, but that does not mean he can’t lose it. He currently sports a .920 save percentage, but over the past two months, it is .929. In his last ten games, its .938 with a 1.61 goals against average (GAA). Jones is playing great. The NHL is a results-oriented league and Reimer has delivered exceptional results since joining San Jose. He lost his first game in teal against Vancouver, surrendering three goals. All three goals came on Canucks power plays. Reimer’s numbers in the subsequent three games are eye-popping. A small sample size to be certain, but as Bensch pointed out in detail, Reimer’s performance has been very good all season. In his first four games as a Shark, Reimer’s save percentage is .952, his GAA sits at 1.26. For the season, his save percentage is .922, impressive given the suspect Toronto defense in front of him for most of the season. The Sharks can not afford to retain both Martin Jones and James Reimer past this season. The expectation has been that Jones will be the starter. Jones’ contract is particularly good, with two more seasons at $3 million per season. His play suggests he is on the verge of becoming a top 10 goalie. If this is the case, his next deal is likely to double his current pay. Reimer has shown he can also become something special. Reimer is slated to be a free agent this offseason and he will look for a starting job next season. Could that job wind up being in San Jose? For San Jose, the default scenario is the status quo. Jones is the top goalie and starts in the playoffs. Reimer fills a traditional backup role for the rest of this season, then moves onward and upward during the offseason. The non-default scenario, however, is creeping into the picture. I’ll start with the obvious, it is entirely unclear who the better player is at this point. It is clear both are playing extremely well. The Sharks likely have the hottest current goaltending duo in the league. But only one can play at a time. There is plenty of intrigue here. In the non-default scenario, the Sharks decide they like Reimer better. Reimer, as a free agent, would cost the Sharks in salary and cap space but he would not cost anything else. It is likely Reimer will see a deal somewhere in the $4-5 million range. I’ll assume the high side of this; Reimer will get $5 million per year for multiple seasons in a deal this offseason. At that price for Reimer, it would not make sense for the Sharks to keep Martin Jones. Jones, with the combination of his strong performance and inexpensive contract, is valuable. As such, the Sharks could expect to get a major haul in a trade. Working on the assumption that Reimer and Jones are equal, the trade-off becomes clear. It is the added cap hit for Reimer versus the assets that could be added by trading Martin Jones. Two relatively recent trades give some idea of the trade value. 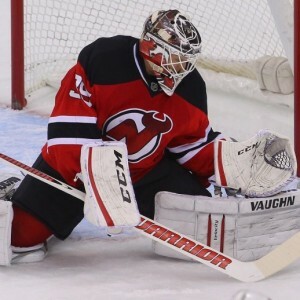 New Jersey traded to acquire Cory Schneider for a ninth overall pick. More recently, the Rangers got four picks, a second, a third and a pair of seventh rounders for Cam Talbot. Unlike Talbot and Schneider, Jones has a full year as a starter, so he is more proven than either Talbot or Schneider at the point each was dealt. The trade-off distills down to roughly this: Should the Sharks give up $2 million in cap space (the estimated difference in the contract between Reimer and Jones) for a top ten draft pick? This scenario assumes some things are equal that likely are not. If the Sharks believe Reimer is better, I think it is an easy call. Retain Reimer, pay a bit more and get the high pick. The cost added is for roughly two years. A high draft pick has the potential to be an asset for considerably longer. Adding a top ten pick would be a ‘hard to ignore’ opportunity. The Sharks’ point of decision is quite soon. The default scenario is that Jones is the starter because he is playing at least as well as Reimer. In this case, Jones starts and everything is pretty clear-cut. Jones has given the Sharks plenty of reason to stay with the status quo, even as Reimer has given the Sharks plenty of reason to consider the alternative. Come the playoffs, the team needs to start the better goalie. Right now, even as well as Jones has played, it is hard to argue against Reimer. Reimer’s five goals allowed in four games is very good. Only two goals occurred while not on the penalty kill; that is outstanding. In the playoffs, whistles are often ‘swallowed’, requiring games to be decided at even strength. At even strength, Reimer is currently delivering the sort of performance that steals a series. Also worth noting, Reimer comes with playoff experience, albeit with its own ‘hero to zero’ nightmare ending. 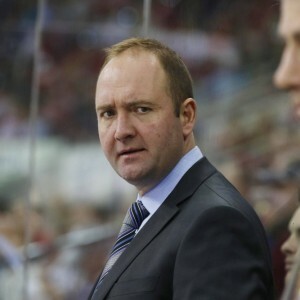 It is not clear who would make the call on the starting goalie, general manager Doug Wilson or coach Peter DeBoer. DeBoer has the responsibility to chart the team through the playoffs, Wilson has the responsibility to set the long-term direction for the team. It is possible that those two directions conflict. If Jones is the long-term solution but Reimer has the hotter glove, can the Sharks sit Jones in the playoffs? The other side of the dilemma, can the Sharks afford to play Jones in what are forecast to be tightly played series if Reimer is playing better? San Jose has options. They will come to a head on a night in mid-April. Either Reimer or Jones will start a playoff series for San Jose. If you want to win a Stanley Cup, you start the guy who is better at that moment in time. The one who sits probably won’t be a Shark next season. If the Sharks move on from Reimer, it is quite possible they will trade him prior to the start of free agency. That will give the acquiring team a chance to sign Reimer prior to free agency. A late round pick is the typical compensation. The Sharks went down this path when they parted with Dan Boyle. With just over two weeks to go in the regular season, only two Sharks players are in question for the start of the NHL playoffs. Matt Nieto should return to the lineup around the start of the playoffs. Matt Tennyson, currently the eighth defenseman, is still recovering from a concussion. As has become clear, recovery from a concussion carries an uncertain timeline. Two Sharks prospects made news in their respective leagues. Kevin Labanc lit up the Ontario Hockey League while playing for the Barrie Colts. Labanc led the league in scoring, scoring at rates similar to Dylan Strome and Mitch Marner, both top five overall picks. Over in the Quebec Major Junior Hockey League, Timo Meier, now with the Rouyn-Noranda Huskies, was named the league’s first star this past month. And while it is not equal to being the league’s top player for a month, his nifty cross-ice pass was selected as the fan choice for top play of the week. 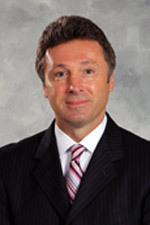 Meier, was the Sharks’ top pick in the last NHL draft and one of the rare Sharks picks in the top 10, selected ninth overall.